Detoxify your body in time! As a result of inadequate lifestyle, without moving, with improper and irregular diet, without enough rest, in almost constant stress, our feet swell, appears cellulite, bags under the eyes and slowed metabolism. All together is a result of building-up toxins in the body which acts negatively on the tissue and the organism as a whole. Manual lymphatic drainage is a type of rhythmic circular massage which is intended to encourage the natural drainage of the lymph from the tissues space body. Relaxes muscles and most important, is beneficial for the immune system and metabolism. Cellulite is a major aesthetic problem that primarily affects women. Due to the different elastic fibers distributed in the tissue and the secretion of the hormone estrogen. Cellulite is a disease of the connective tissue which leads to an increase in the volume of the cells of adipose tissue and the accumulation of toxins between them, all together leads to the pressure on the blood vessels, retention of water, swelling of the tissues, and poor circulation. As a result tissue looks like orange peel. In addition to these causes of cellulite, there are other important factors: immobility, the use of hormone therapy, poor diet and fluid intake, bad habits, genetic factor, pregnancy. In addition to the many advanced capabilities in the struggle against cellulite has been shown that massage of the connective tissue gives the best and longest effects. In order to cellulite become part of the past, it is important to be persistent and tenacious. It has long been known for the positive effects of massage, which is a set of related movements which includes all or part of the body. It is proper, and above all, professional application leads to a relaxation of neck, shoulder, lumbar back and feet, which have become an indispensable part of the pain of modern life. The advantage of relax massage is that it reduces nervous tension, stiffness and body comes into a state of complete relaxation and energy balance. Ultrasound Cavitation is a new method in modern medicine, with which awhile is achieving a loss of fat plaques, in order to reduce the volume of the body and reconfiguring it. Ultrasound Liposuction (ultrasonic cavitation) is a new, revolutionary European fat removal technique that does NOT involve surgery – there is no need for anaesthetic, a hospital stay or time off work. Ultrasonic Slimming utilises a unique cavitation technology new to Australia that allows for non-invasive removal of stubborn fat deposits that never seem to disappear regardless of your diet or how hard you work out. The most problematic body areas are: abdomen, flanks (“love handles”), thighs (“saddle bags”), buttocks, inner knees, upper arm, male breasts. beauty-hair-nail-salons.free-business-directory.com provides a lot of free useful information to our users about local companies and firms, like: activity, company name, street address, phone number, e-mail, web site etc. 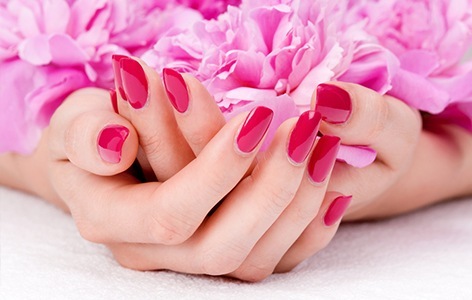 On our site you can find beauty salons and hair salons.